Sadly, yes, it is back to school time. And I'm sharing you one of the keys to Ella's success last year...The Order Out of Chaos Academic Planner. I was sent this at the start of last school year and had Ella use it to track her homework, assignments and her afterschool activities. I sat her down and talked her through the different ways to organize her life. 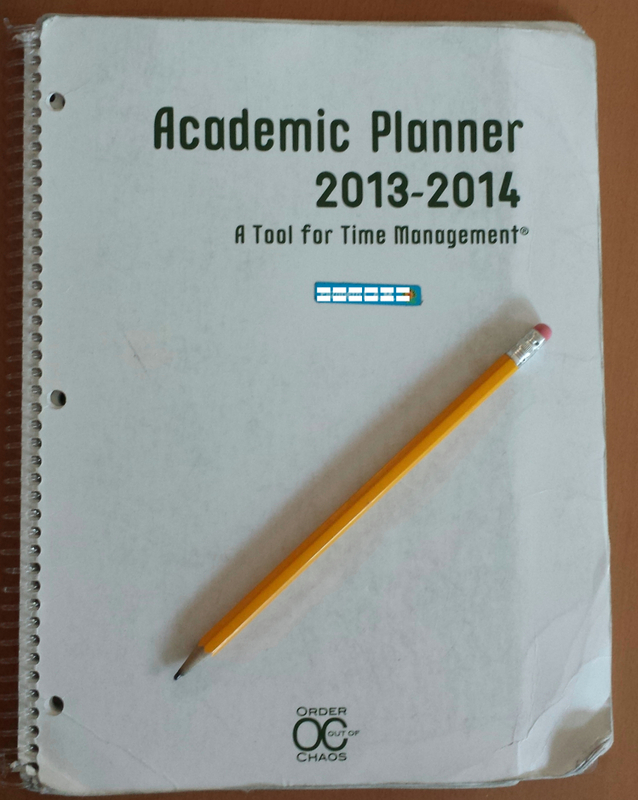 We had used assignment books in the past, even one year just using a blank notebook with assignments on each page. And while she's been a straight-A student throughout school, I knew that fifth grade was going to be tougher than fourth grade. Not just because it was the next grade, but she was starting travel soccer (two practices a week) and dance class (2 afternoons a week) to her weekly main soccer team practice. Our method for juggling soccer and dance was to skip one each week - which you can tell immediately became confusing. Thus her writing what days were soccer and which were dance in her assignment book. Of course the photo above does not show this. Sorry. But what you can see is that the segmentation of the day by class was helpful in her tracking not only daily assignments, but long term projects. Fifth grade was also the second year where we let Ella keep track of her homework herself. We did not check her assignment book every night. When she would forget her assignment book, she was responsible for calling or messaging her friends for what she forgot. We were not making those calls to parents. Last year was her training ground for this year. This year she starts middle school and I will be purchasing a new planner for her. She is familiar with the system and with the fact that she will be changing classes for each subject, she will need a good system to keep track of everything. Bottom line...I highly recommend this organization system. It looks like a system that might be best for college students, but my elementary school student was helped by it a lot. 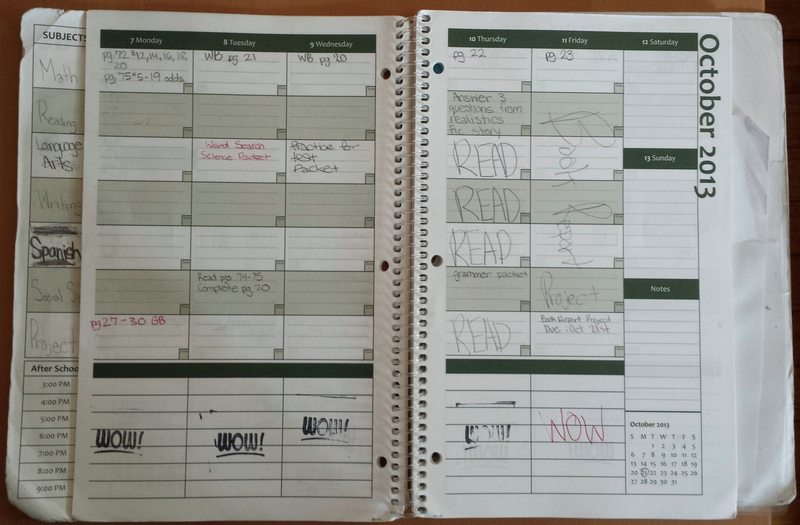 Disclaimer: I received Ella's copy of the planner for review. Nothing else was exchanged.